Welcome, friends! I’m so glad you’re here to see my latest post for OXO–thank you, OXO, for making amazing products and for sending me your 14 Piece Glass Bake, Serve & Store Set to take for a spin! Get ready for some lavender mixed berry crisp goodness, friends. 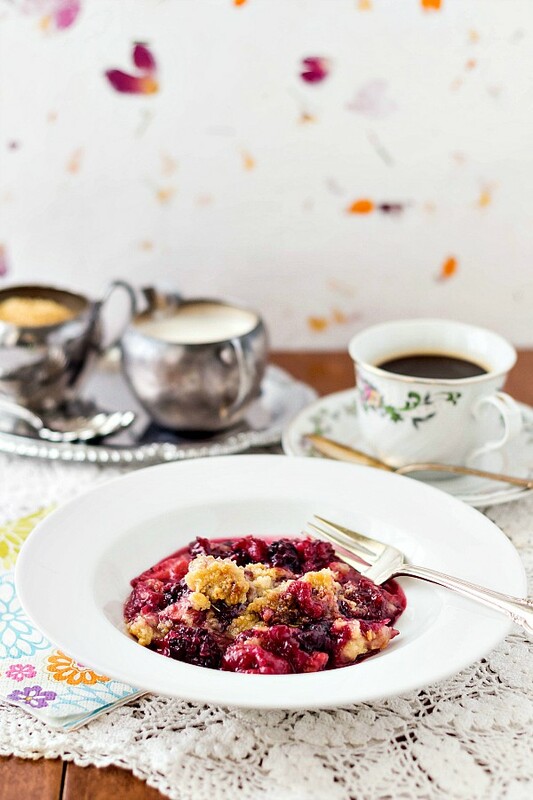 Today I’ve made a gorgeous Lavender Mixed Berry Crisp. It is simple and delicious, lightly sweetened with raw sugar, floral with my new favorite fruit dressing, Tracy’s Gourmet Luscious Lavender, and a bit savory with the addition of herbes de Provence. Before we talk all things lavender mixed berry crisp, let me tell you a bit about this OXO bake, serve & store set. Spoiler alert: This set is Great! I was looking for a dessert recipe for a luncheon and this just might be it. Off to the grocery to see if I can find a bottle of that lavender goodness! Thanks! 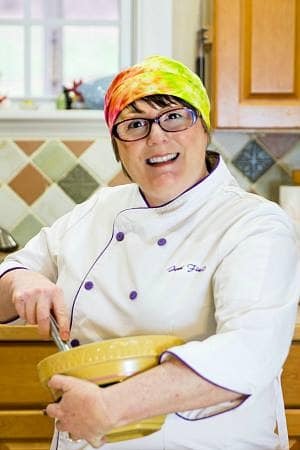 She’s in some Whole Foods, Beth Ann. Do check her site for locations where she’s available. Definitely worth seeking out! Thanks, and enjoy! I love the addition of lavender! Beautiful! There is nothing worse than a clickly lid that will not click. STupid lids. But these really are impressive, even turned upside down. Huzzah! That luscious lavender dressing is gorgeous. Light, fruity, sweet, floral. I want to put it on all the fruit! This Lavender dressing you used sounds yummy. I must try and find it. I believe you can buy it through their site, Doris! It is lovely with fruit!